One of the gurus of the New York dance music scene, James Christian discovered music at an early age while being captivated by his mother's Motown collection in their Brooklyn neighborhood. 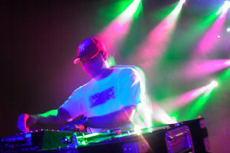 However, he credits Jellybean Benitez with influencing his unique house sound. 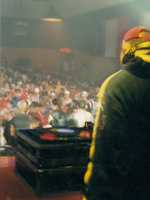 James etched his name in New York's blossoming house music community in the early 90's spinning at many of the city's esteemed clubs such as The Limelight and Vinyl as well as producing tracks for Nervous Records and Sorted. His fame was not limited to NYC or the continental US; James was in high demand worldwide spinning at hotspots in Italy, Germany and England. A true New Yorker, the Limelight was where he called home. James Christian's unbelievable skills on the turntables earned him a coveted 2 year residency at this historic club in 1992. Talent, tenacity and New York grit is what propelled James' career forward as both a DJ and as a producer. By 1995, James Christian, now a mainstay in the house music community began releasing mixed CD's as well as vinyl singles. 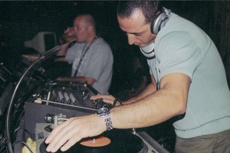 His impressive discography boasts releases on the who's who of house music record labels including Dust Traxx, Strictly Rhythm and Underground Construction to name only a few. He was also affiliated with NYC's elite Caffeine crew. 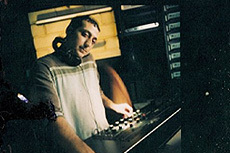 In the essence of working together to move the scene forward, James collaborated with New York based Stuck on Earth production company in 2002 to make House Theory, a successful mix album released by Topaz Records. House Theory featured tracks which were released on Strictly Rhythm, Dust Traxx, Blinded and Ovum. James Christian continued to make special DJ appearances from 2003-2008 but earned a much deserved break from the industry. Like all lovers of house music know, your love for the music never dies. With a renewed passion, DJ and producer James Christian is back at it again! Staying true to his hard house sound James has releases on T.K.C Music and Blinded Records in addition to a new mix CD being released on Moist Music/Sony BMG in January of 2011. James Christian is committed to once again take the house music scene by storm! Collaborating with industry heavy hitters like Osheen and That Kid Chris along with his new partners in crime, Mike Wall and George Defeo. James Christian's unique, funky, tribal and deep sound coupled with talent, tenacity and an overall love for the genre is what makes him an internationally in demand artist who has earned the respect and admiration from house music lovers worldwide!